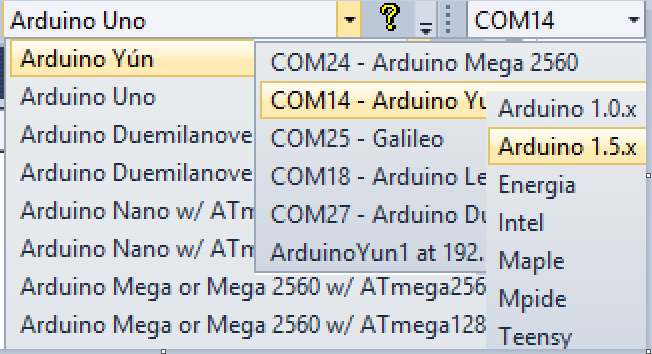 Until now, developers who did not own a copy of Visual Studio have been able to use Atmel Studio for their Arduino/APM development (Atmel Studio is based on Visual Studio 2010). Visual Studio 2013 brings a number of additional benefits over Atmel Studio such as great code visibility and powerful code explorers. will give it a try as i get some new sensor hooked up to an older APM. Great news. I'll have to give Visual Micro another look now. The plugin supports Intel, Texas Instruments, ChipKIT and Maple. I know some guys using it for Stm32 but i think they found a better core than Maple via the sparkfun site. 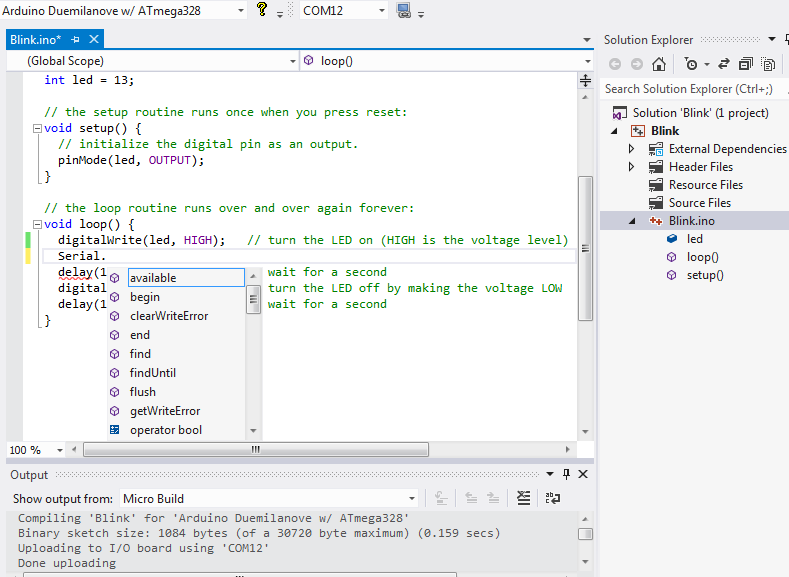 The plugin also supports the Arduino 1.5 third party build process so can be adapted for various non-arduino hardware. If you have a suggestion that would be of interest to others then please feel free to join the visualmicro.com forum and start a thread. 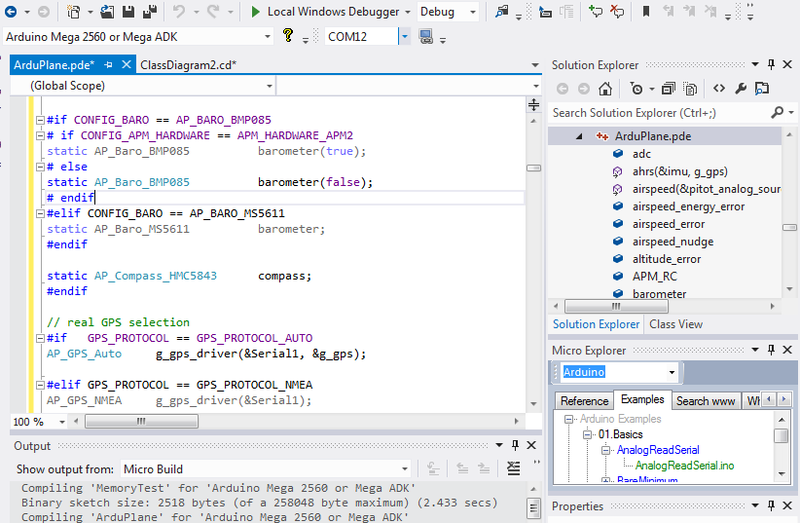 I couldn't get it to work with Atmel Studio, so I uninstalled that and installed Visual Studio and then Visual Micro. It took hours but it works great. I even built and uploaded. Caveat: While VS works great on the ArduCopter app files, the project cannot get to the \libraries (APxxxx) files because they are “includes”; needs some fudging. It's great to hear you have it working well. The 3DR instructions for Visual Micro were obviously written by a Visual Studio user because it is F5 in Visual Studio. You can see the short cuts of each Ide next to the respective menu items. I recommend using Visual Studio 2013 Community. The intellisense and code explorers are more sophisticated and I believe work as you have suggested. Happy to look at pixhawk sometime, are there any windows build instructions?